While Asia has abundant LNG supply, the region MIFF lacks the right infrastructure and commercial arrangements to develop the necessary LNG supply” networks to sustainably meet rising demand. AG&P’s Derek Thomas explains. With the demand for cleaner and cheaper sources of power rapidly increasing across Asia, developers are seeking efficient, low cost and reliable ways of distributing alternative energy sources to coal and heavy-fuel oil. If an estimate by the International Energy Agency’s New Policy Scenario is to be believed. Asia’s growth in Total Primary Energy Supply is expected to increase from 4406 Mtoe in 2014 to 6998 Mtoe in 2040. In this scenario, governments and companies are exploring ways of reducing their dependence on coal, which continues to be used in many power generation processes by committing to liquefied natural gas (LNG) as a key component of their energy mix. However, while Asia has abundant LNG supply and demand, the region still lacks the right infrastructure and commercial arrangements to develop the necessary LNG supply networks to sustainably meet this rising demand. LNG demand centers in countries like the Philippines. Indonesia and India are anticipating rampant power demand in the coming years. Unlike developed countries with an established gas pipeline network, the demand centers in these markets are spread across islands, long coastlines and vast river systems, creating the need for faster, more pragmatic and scalable infrastructure solutions to drive LNG uptake. These needs could be efficiently addressed by a market integrator to break existing silos between LNG suppliers and buyers, bringing all parties across the complex LNG value chain together to drive projects forward and deliver greater economic value for customers. So far, despite the strong LNG supply and demand, projects have been taking off at a slow pace. As well as the geographic and technical constraints, lack of progress is in part due to the gradually-evolving federal ecosystems in emerging economies. Many countries still need to establish a regulatory framework that sets clear policies for the LNG industry and guidance for the development of an efficient LNG supply chain. 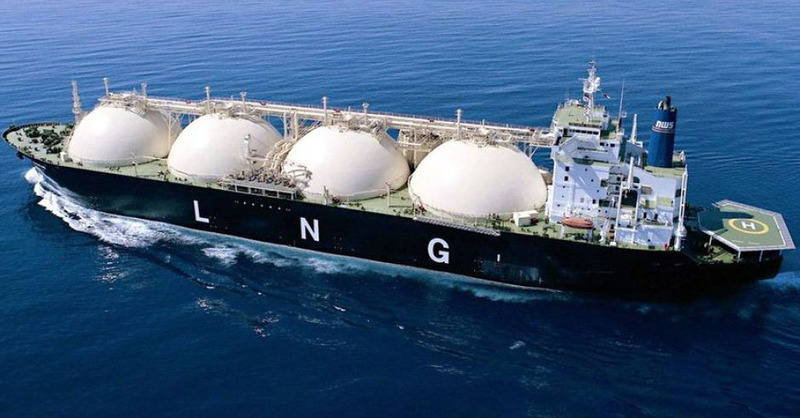 Governments could also consider offering tax or other incentives to newer players to enter the LNG market, which would have the added benefit of stimulating investment in the sector, thereby generating growth. Without more reliable power sources. Asian markets face a looming power shortage. The LNG industry must, therefore increase its efforts to establish smaller, scalable and flexible infrastructure packages that can be deployed rapidly and affordably to bring LNG projects online. If progress in the LNG sector remains slow, access to power will become a major problem across the region within the next 10 years. Estimates by KPMG suggest that in the Philippines, demand for power will increase by 50% to 29,330 MW by 2030. This would mean a shortage of 13,000 MW in the power generation and transmission markets. To circumvent this, the Industry requires an investment of US$25 billion by private companies in the next 14 years. Similarly, in Indonesia, the government is aiming to install 70,000 MW of new power capacity by 2024, which will require funding of about $83.5 billion: according to the Asian Development Bank. To meet such massive demands, collaboration between financial, and engineering, procurement, and construction experts across the industry will be necessary. One type of collaboration we also expect to see more of in the future is in the commercial area as investment grows. An example of this in action is AG&P’s recent joint venture with the Risco Energy Group, a renowned energy investment company in Indonesia: which brings commercial expertise to the infrastructure development table. Through this joint venture, AG&P will be able to not only design, engineer and manufacture assets, but offer flexible commercial arrangements including financing a project or chartering and leasing some of the assets to maximize end-to-end operational efficiencies. Another area ripe for development is LNG distribution between remote islands and inaccessible onshore locations across Southeast Asian markets. Here, we expect to see the emergence of fleets of lower cost: small delivery shuttles, probably less than 7500 cu m, capacity to enable fast and efficient inter-island transfer of gas from larger LNG hubs to smaller, dispersed receiving terminals. We also anticipate significant growth in the financing and building of land-based delivery vehicles, such as LNG-fueled trucks. India is one country where this sector is witnessing rapid growth. The emergence of the supporting LNG infrastructure is critical to LNG adoption in these industries as the first step is to break-bulk the LNG and transport it in smaller volumes to make it more accessible for customers. The availability of a smaller scale LNG delivery network through break-bulking will enable both distributed power generation and a variety of industrial applications in various manufacturing and processing facilities. We see a ready market for LNG storage, transport, regasification, and power solutions to transfer LNG from where it is abundant, such as in the major gas hubs, to where it is scarce, such as in the fast-growing Southeast Asian economies.